Today was a big day. The Wombats turned 10 weeks old. Also, Judaism turned 300,196 years old. A pretty big day and cause for some measure of celebration. Apparently at ten weeks old the Wombats finally realized their mother had purchased them some badass sheep mobiles for the first time. While I was at work they spent a chunk of the afternoon marveling at their splendor. 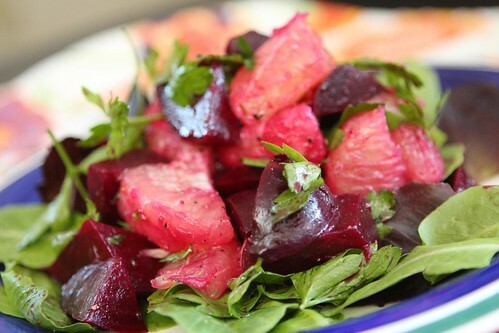 When I got home I through together another in a long line of half-assed Rosh Hashanah dinner starting off with this beet and grapefruit salad with parsley, salt, pepper, and olive oil. I also made up a smoked trout salad with the leftover salmon sauce from the other night, mayonnaise, whole grain mustard, celery, red onion, and chopped fresh dill. 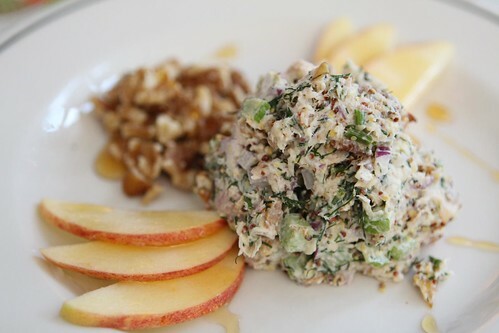 I served it up with some slices of apple from the farm, chopped walnuts, and a drizzle of honey. 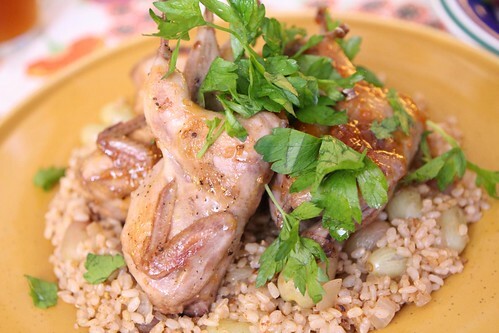 For the main course I browned up some Texas quail (or is it quails?) and made a glaze for them with apricot preserves, honey, water, and horseradish. They say everything is bigger in Texas. Apparently this does not apply to tiny, tiny birds. I served it over a brown rice made with browned onion, grapes, and cinnamon. Quail is probably not the world's most traditional bird to serve up for Rosh Hashanah but since I was making a has of the whole thing anyway I figured, why not? 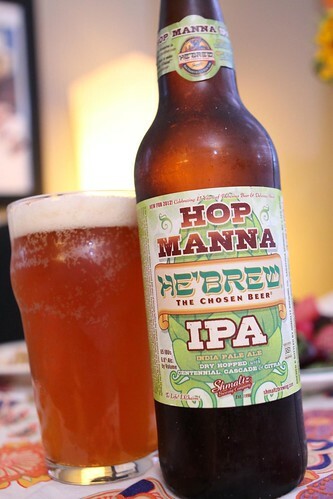 For beer I cracked open this Hop Manna from Shmaltz Brewing Company, another in a long line of Jewish holiday appropriate beer. This was a very nice IPA with a comparatively low ABV that went down very nicely. It looks like a bottle but being the lightweights that we are we split it. That's eleven ounces of beer each! 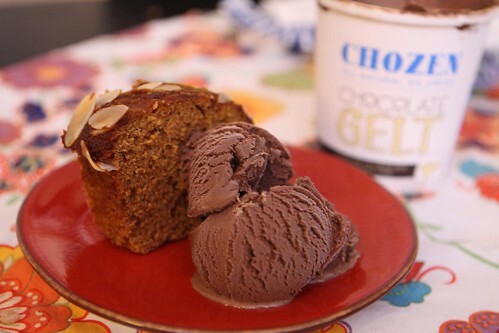 For dessert I brought home this honey cake and served it with some Chocolate Gelt ice cream from Chozen. Ten weeks. It's pretty hard to remember back to how much simpler and easier our lives were ten weeks ago. You know, apart from the constant doctor's appointments and trips to the hospital. Yes it was much easier, much more restful, and nowhere near as entertaining. And to think . . . only 926 weeks before they leave for college! Was there ever a time in your prior life when you would have contemplated using the modifer " badass" to descibe a sheep mobile? Don't pretend you know who (or what) Tupac is. Gary, Gary, Gary, can't you see? Sometimes your words just hypnotize me.